The 2018 Japan-spec Subaru WRX S4 gets improved safety performance. See why Subaru wants WRX to be the safest performance car. The Subaru brand is all about safety and it carries over to their sport-tuned WRX. Subaru Corporation announced the Japan-spec 2018 WRX S4 will feature an advanced version of their EyeSight driver-assist system. What does it mean for performance fans? The Subaru WRX S4 gets improved safety performance and now comes with an upgraded pre-crash brake control of the EyeSight driver assist system. Subaru’s new-gen EyeSight safety system and driver assist technology is available on WRX when equipped with the Sport Lineartronic automatic transmission. Subaru engineers haven’t been able to make it work with the 6-speed manual gearbox. Here’s what is coming on the new WRX EyeSight upgrades. When EyeSight’s radar cameras recognize a pedestrian or a bicycle traveling in the same direction as the vehicle, the possibility of collision avoidance has been improved by accelerating the operation timing of deceleration control. Also, if the driver accidentally depresses the accelerator while there is an obstacle ahead of the performance sedan at low speed, the system assists the collision avoidance by activating the pre-crash brake. Subaru has a goal to be the overall safety leader and prevent traffic accidents and aiming for zero accidents by automobiles in the future. Driver distraction is the number one cause of accidents and Subaru is working to eliminate the problem. The 2018 Subaru WRX continues to be one of the safest compact performance cars on the planet. 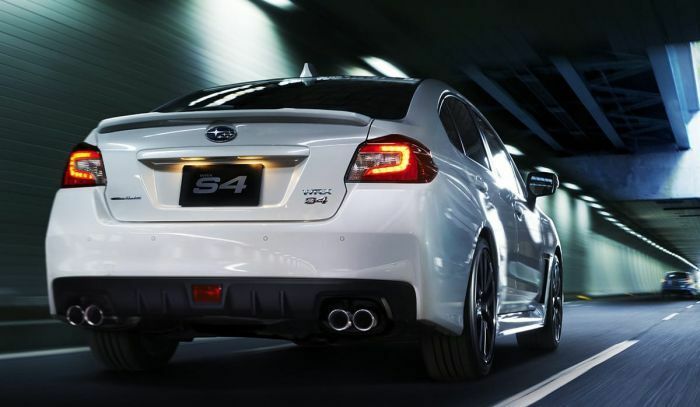 The safety-enhanced WRX S4 with the Sport Lineartronic automatic transmission will be released on June 7 in Japan. Look for Subaru to use the upgraded safety system in all their new vehicles including U.S., Australian and European models.